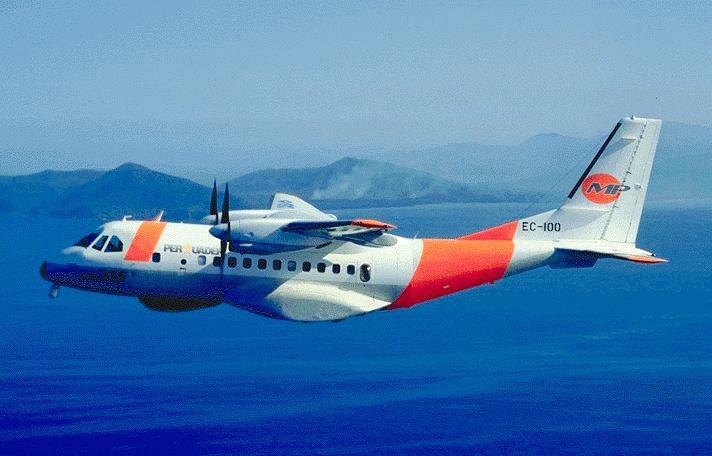 The CN-235 is a high-wing, pressurised, twin turbo-prop plane with STOL performance that can carry a maximum payload of 6,000 kg. Its maximum cruising speed is 240 Ktas and it has a range of 2,250 nautical miles with a payload of 3,550 kg. 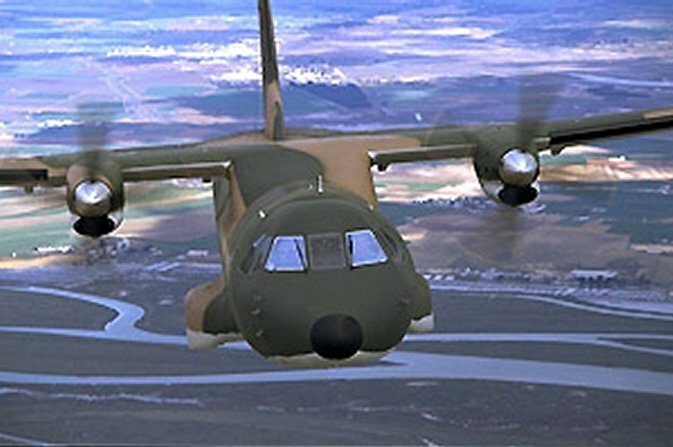 The CN-235 has been conceived for tactical military transport and is capable of operating from unpaved runways and has excellent low level flying characteristics for tactical penetration. 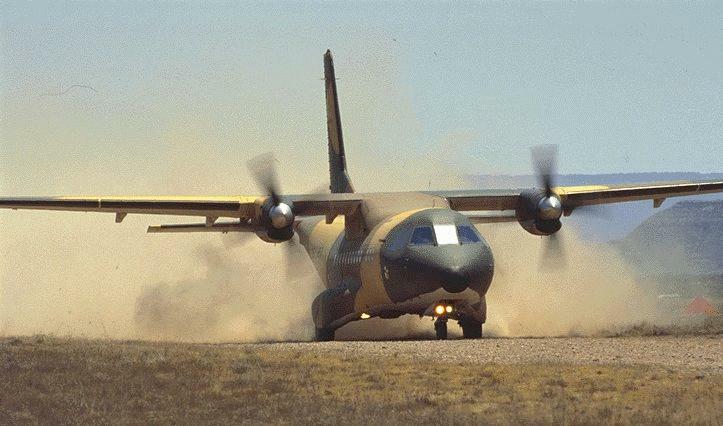 Its large cargo hold and hydraulically operated rear ramp allow easy access for vehicle transport, standard 88�� x 108�� pallets, making it the ideal complement to the Hercules C-130. It can carry most combat aircraft engines and may also be subjected to a quick change configuration. 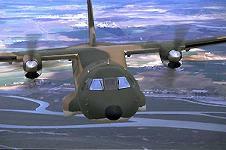 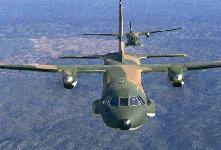 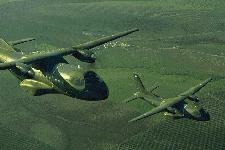 The CN-235 can be used to transport up to 48 paratroopers who may jump out either of the two side doors or the rear ramp. 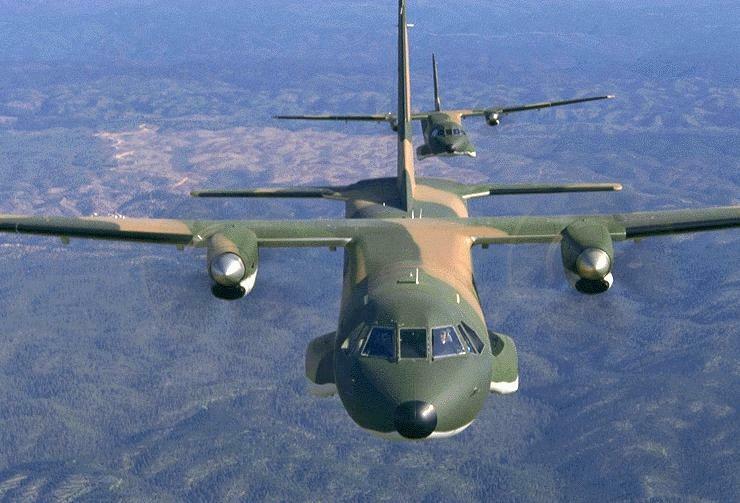 The CN-235 is able to carry out high and low altitude (HAD, LAPES) in-flight drops distribution of up to four tons of supplies to forward troops. 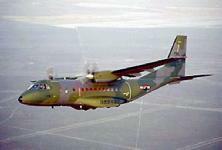 On medical evacuation missions, the plane can transport up to 21 stretchers, with four medics. Length 21.40 m 70� 2"
Wing Span 25.81 m 84� 8"
Cabin Length 9.65 m 31� 8"
Cabin Height 1.90 m 6� 3"
Cabin Width 2.70 m 8� 11"